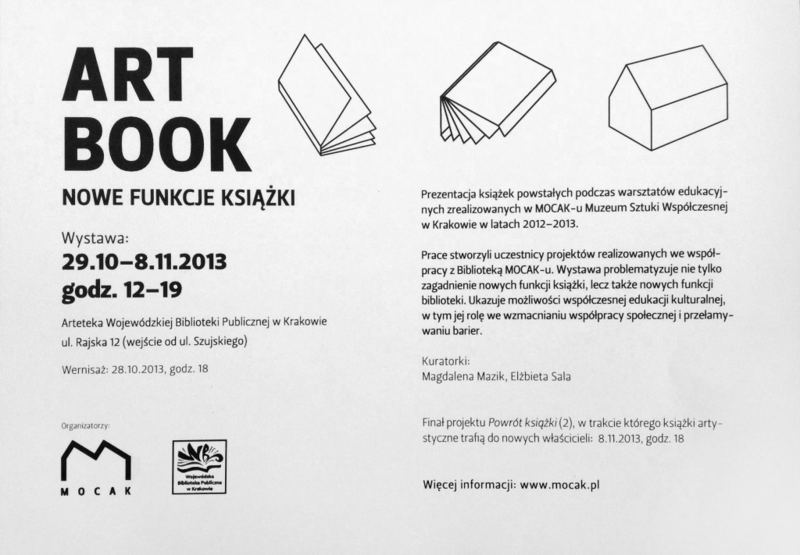 The artbook I made for the project Return Of The Book 2 (ART BOOK) organized by Arteteka and Library of Museum Of Contemporary Art MOCAK in Krakow was the smallest book I ever made (3/3 mm). It was shown on the exhibion in Arteteka. The idea was to use old, unwanted books and make works of art of them. As it happens I didn’t need even one whole page of the book I chose to make art book of it. Interesting fact is worth mentioning, that not only big artworks create many problem in the process of making them and later transporting and installing on the art shows. 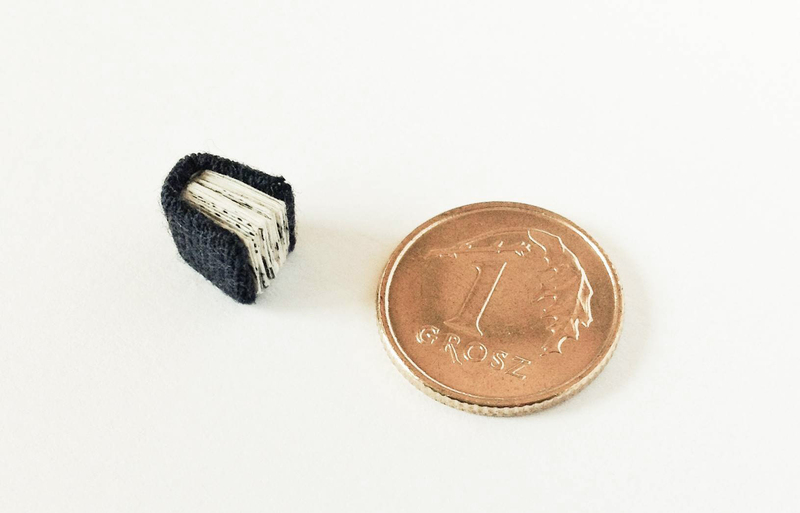 The smallest works are very hard to make and maintain as well. 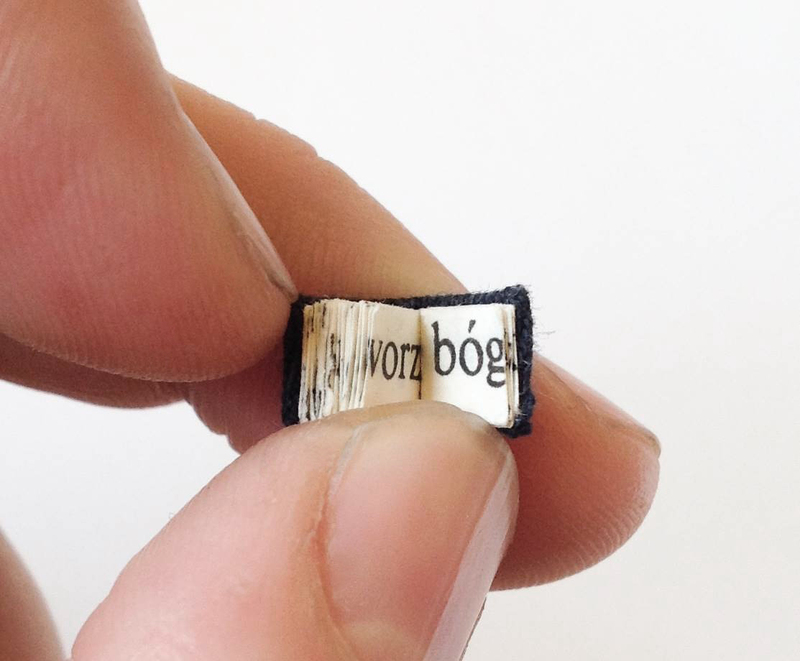 For example I had to cut each page for the book (and make them all the same size), I also made the book usable – it was possible to open it and got through pages. Not loosing it in the process of transport for the exhibition also was challenging.